So I’m typing this on my computer – get that? MY COMPUTER! And it’s not even the only one I own. 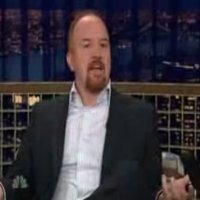 Louis CK thinks we’re too complacent about technology. Did mention I’ve got A PHONE IN MY POCKET?! Forget that – it’s actually a COMPUTER as well!